Marette Farrell signed the ticket on a $40,000 3-year-old filly called Zealous Madame (by More Than Ready), for owners Robert and Janice McNair. 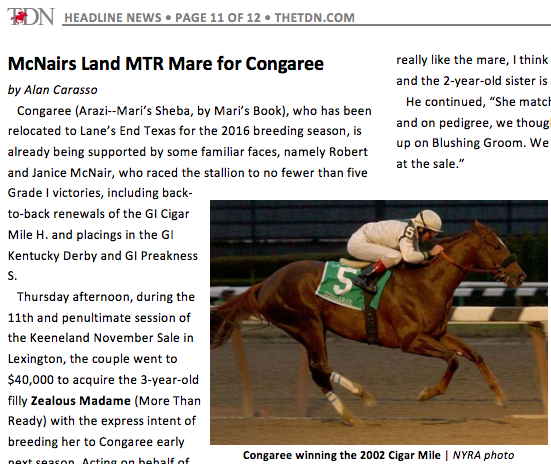 Zealous Madame will now be covered by Congaree, who stands at Lane’s End Farm in Texas. The McNair’s used to race Congaree.